The Defence Office Paris has the responsibility of providing advice and staff work on the bilateral relations and liaison between the South African and French Ministries of Defence. To establish, enhance and maintain sound relations with the French Armed Forces on behalf of the Chief of the South African National Defence Force (C SANDF). To represent the Department of Defence (DOD) and the SANDF on all the diverse forums in the region and the enhancement of the image of the DOD and the SANDF. 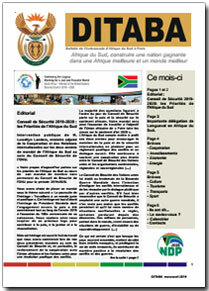 To co-operate with the SA Mission in Paris and to act as an advisor on military matters for the Ambassador. To manage and administer the Delville Wood Memorial and Museum. To render support and assistance to the South African Defence Related Industry.